Hi there everyone. I'm hoping you've been enjoying the rain that we've gotten over the last 24 or so hours over here in Queensland, hopefully you haven't been getting flooded though. We're safe from flooding at home here thankfully. 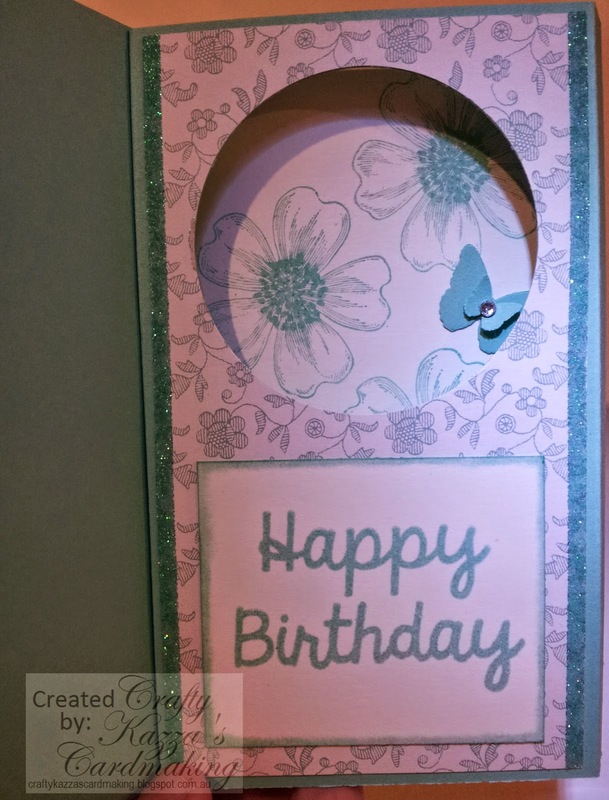 This is such a versatile style of card and it's a real unexpected surprise when you open it to find it's got a popped up window inside too! Several of my friends and I are having a ball making these. So far I've made two. I have had to adapt my card to metric as I don't have inches on my cutter and score board. 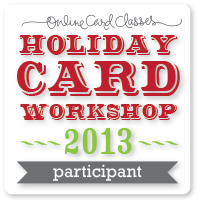 The dimensions of my card have been made as simple as possible. 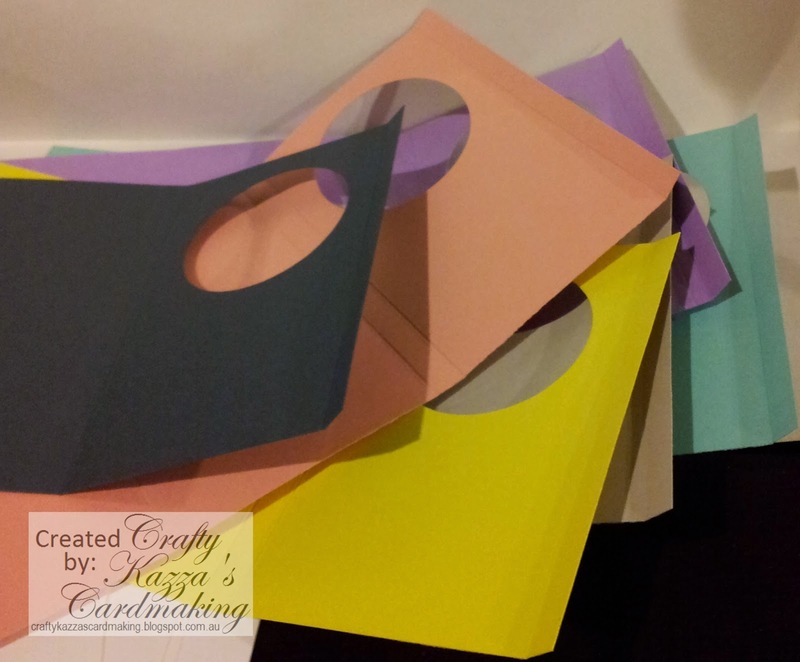 I start out with a piece of cardstock trimmed to 29.5cm x 14.5cm. With the long side at the top of your score board, score at 10.5, 19, 20 and 28.5cm. 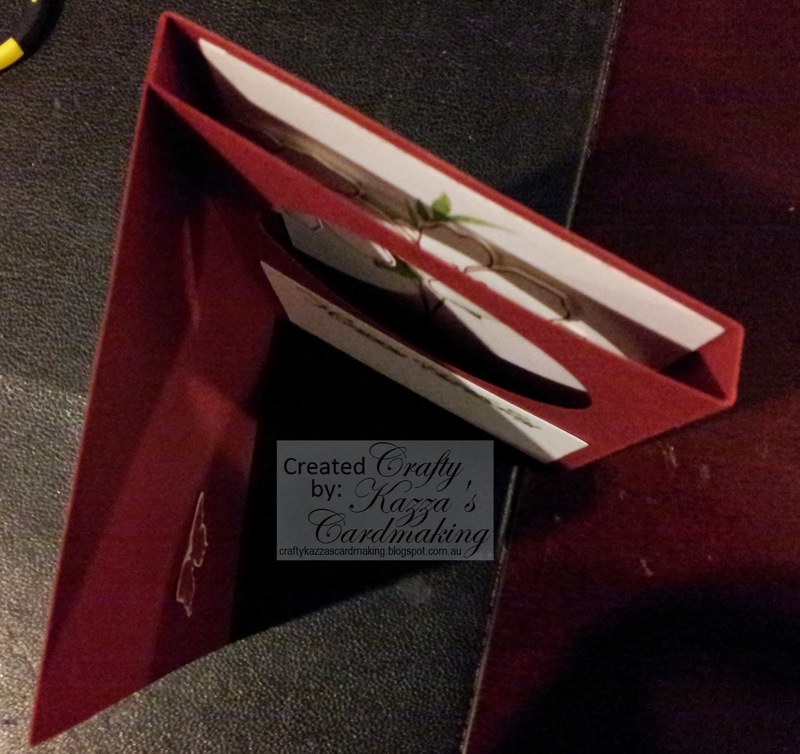 Fold the card as shown in the video and you'll find the front flap is a little too big. I take a pencil, draw along the edge and trim this piece off, and hey presto you have a slightly larger metric version of this card! Yay! I started off by making a bunch of bases in different colours. 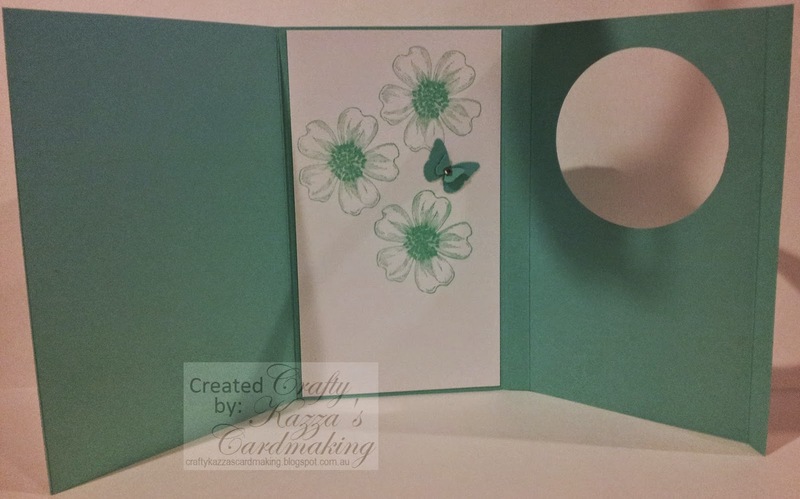 I thought having different coloured bases would inspire my mojo to create totally different cards each time. Here's a picture of them. 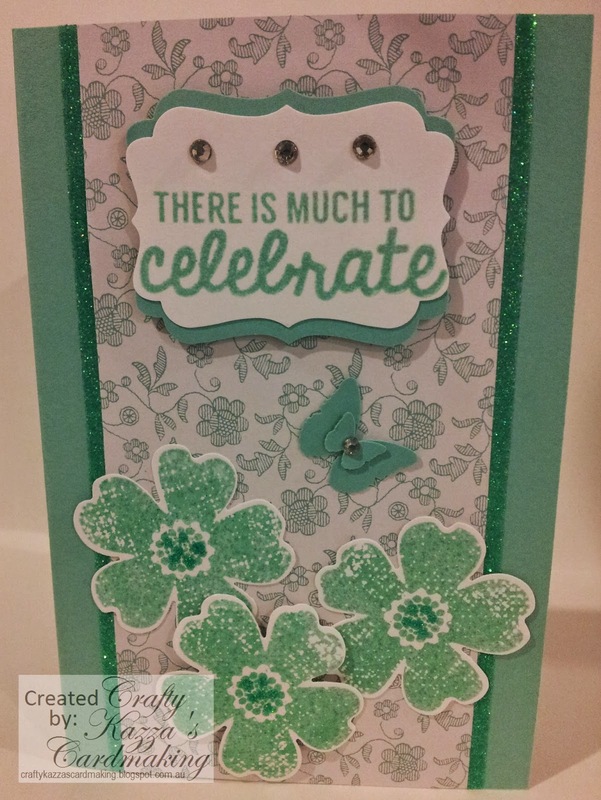 My first completed card was made using Cherry Cobbler (cardstock and ink), Garden Green and Wild Wasabi StampinUp inks, the Fabulous Florets stamp set for the images and the IBS Fancy Sentiments stamp set for the greeting. I found it would be best to cut the inside circle piece as a complete panel to fit inside. This one was a little short and I stuck a thin strip of white cardstock down the left side to try to fix it, covered with a flower it's barely noticeable. My second diorama card was completed tonight somewhere around 11.30pm. I've had a ball tonight just playing around with it and trying different things. I totally love how it turned out, I think it's absolutely gorgeous (even if I do say so myself!). 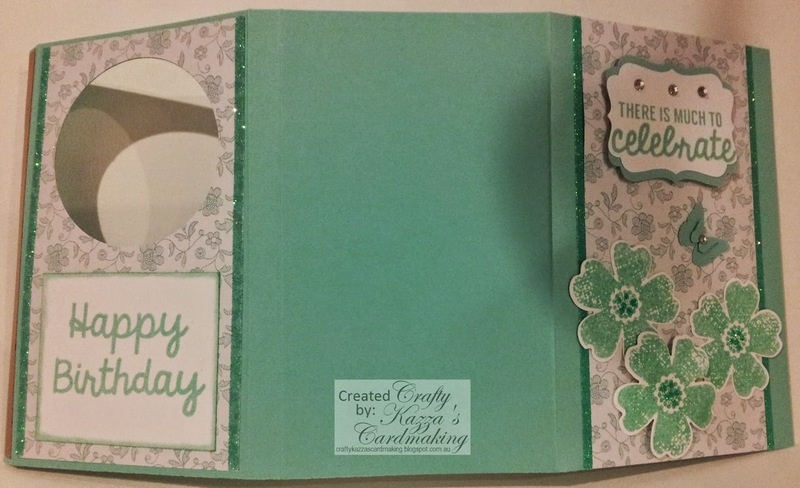 I tried another monochromatic type of card, using StampinUp's Coastal Cabana cardstock and inks along with white cardstock. I luckily found that my Martha Stewart Wintermint glitter is a perfect compliment to this cardstock and rubbed it into some scoretape - love it! 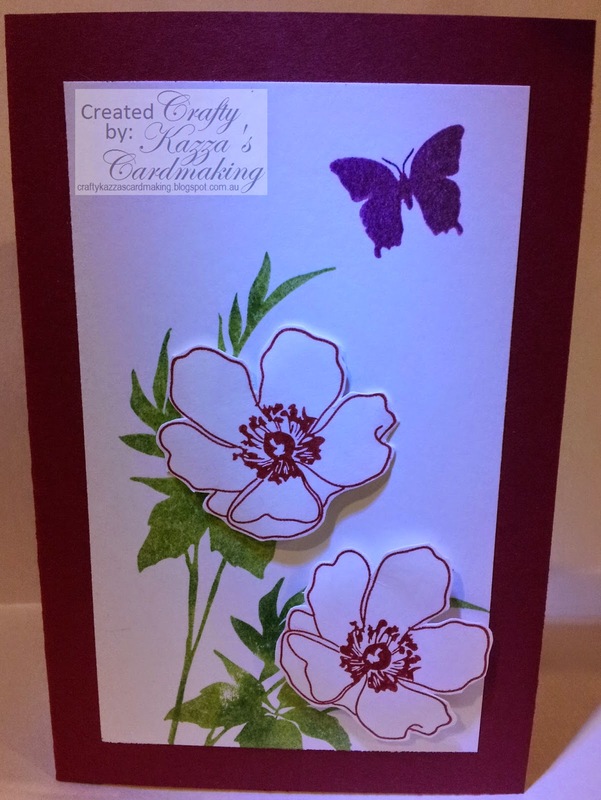 I also punched out some MS butterlies and layered them with a diamonte in the middle. The images are from the StampinUp Flower Shop stamp set (and matching punch) and the sentiments are both from one of my newly purchased sets (from my Kaisercraft Boxing Day shop) called Pop! - Quotes. I can see so many different ways to use this card type, the diorama card is definitely going into my favourites list! Happy crafting to you all and thanks for stopping by! Fabulous Karen! And I prefer the way you've finished these off to the way the video does it. I don't have a circle punch, so used a circle die for mine. Thanks so much Cheryl! Yes, it suits my OCD and my laziness much better too, a lot less fiddling if you put that there and then decide what to do with it. 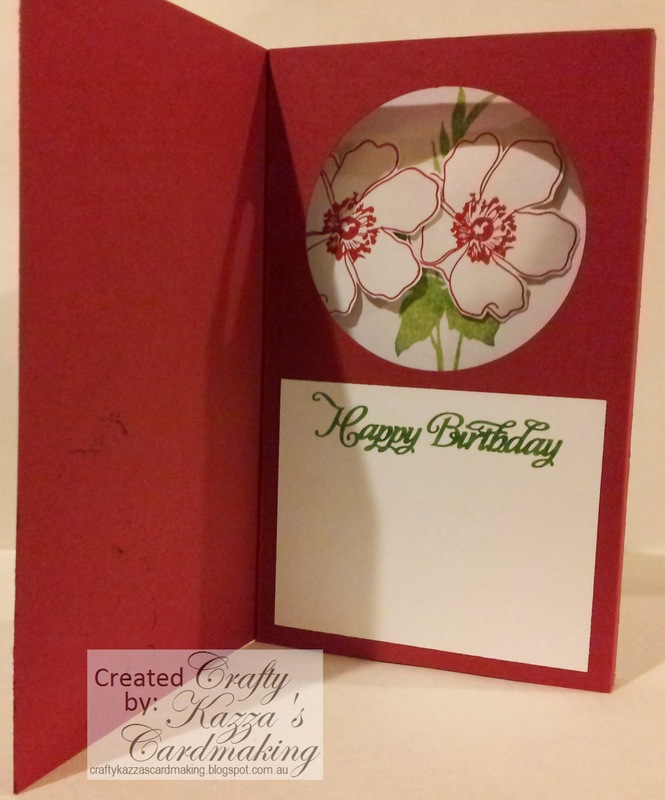 I really liked the patterned paper around the circle. Next time I would probably stick it down and then punch/die cut the circle at the the same time. Thanks again! Oh thank you so much Jennifer! 2015 - A New Year, A Fresh Blogging Start!